The increase in the information collected and available at European level in the field of water is largely influenced by the increase in the importance of Europe in environmental protection policy especially for aquatic environments. At the same time, policies for making information available to citizens have emerged such as the Directive on public access to environmental information (Directive 2003/4 / EC). 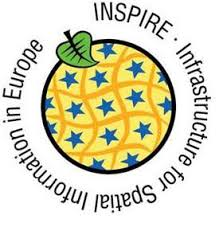 More recently, a directive on access to geographic information known as the INSPIRE Directive (INSPIRE Directive 2007/2 / EC) obliges Member States to make their geographical data accessible and better documented so that they can be reused and enhanced. IOWater, in charge of the SANDRE in France, is at the core of the provision of data and references and therefore a key stakeholder for the implementation of this Directive in France, but also for a possible European adaptation. The "SIIF" thus contributes to reduce the users’ administrative burden, by automating and simplifying the visualization. The implementation of SIIF for wastewater treatment data by IOWater on behalf of the DG Environment of the European Commission aimed at speeding up the availability of data and improving their management by using interoperability. The geographical component of wastewater data is essential as these data are based on four geographical objects, namely agglomerations, wastewater treatment plants, discharge points and wastewater receiving areas (including sensitive areas where specific treatment must be applied. It was therefore essential to organize the system from the beginning in order to comply with the requirements of the INSPIRE Directive, thereby contributing to reducing the administrative burden on users by automating and simplifying the visualization and provision of data through “services” required by the Directive. The tool, by providing a compatible basic structure, allows any country to be in step with these requirements without having to analyze in detail how to do it. The experience gained with SIIF UWW enables IOWater to offer its services for possible extensions of the system to all types of data, assistance to operators for a better integration of the developed system with their own system, even the creation of a metadata catalogue conforming to the INSPIRE Directive, starting from the water topic.